The Dark Knight goes anime. Batman Ninja is unlike anything we've seen from Warner Bros. Animation. It combines time travel with period martial arts and mecha. The film is an entirely Japanese production with character design by Afro Samurai creator Takashi Okazaki. It is absolutely gorgeous, perhaps the most artistic vision of the Caped Crusader yet. The premise is clever, but the execution of the plot is patchwork at best. The screenplay by Kazuki Nakashima incorporates multiple themes from Japanese culture and history. The version I saw was dubbed for English and not subtitled. The cultural nuances are surely lost in translation. Batman Ninja opens in present day Gotham City. Batman crashes a demonstration of Gorilla Grodd's Quake Machine at Arkham Asylum. The device activates and transports the entire island hundreds of years in the past to feudal Japan. Batman is shocked to discover that he arrived two years after the fiendish criminals. Joker, Penguin, Two-Face, and Poison Ivy have become lords battling to be shogun. He must stop the war, recapture the Quake Machine, and restore the timeline. It's a daunting task for our hero. Luckily, Batman's vaunted sidekicks and gal pal Catwoman were caught in the time warp as well. The animation in this film is truly spectacular. Director Junpei Mizusaki delivers a lavish production. Most of the films in the DC animated universe are stylistically the same. Batman Ninja is a celebration of Japanese art in general, not just anime. Some of the scenes are drawn as two-dimensional ink brush paintings. It's a creative touch that adds distinction and flourish. The continuous visual evolution lifts Batman Ninja when the plot becomes spotty. Anyone who appreciates animation will be impressed. My issue with Batman Ninja is the choppiness of the plot. The overall story is interesting, but the scenes don't always flow. I think there was such focus on the look of the film, working out details in the plot became an afterthought. The characters have zero exposition. They talk enough to propel the action. This is all done with loads of anime tropes. Every standard in the genre makes an appearance in some way, down to the requisite pet monkey. It's complete overkill, but an understandable commitment to the genre. Batman Ninja is an anime and mecha film to the core. The action is hit or miss, but once again reflective of the genre. The duels were the most interesting, especially against the cackling joker. The bigger scenes look fantastic, but almost becomes too busy. The robot fights, characters, various animals, and backgrounds begin to blur in the frenzied climax. I understand the desire to go big in this story, but the more intimate action scenes are better here. 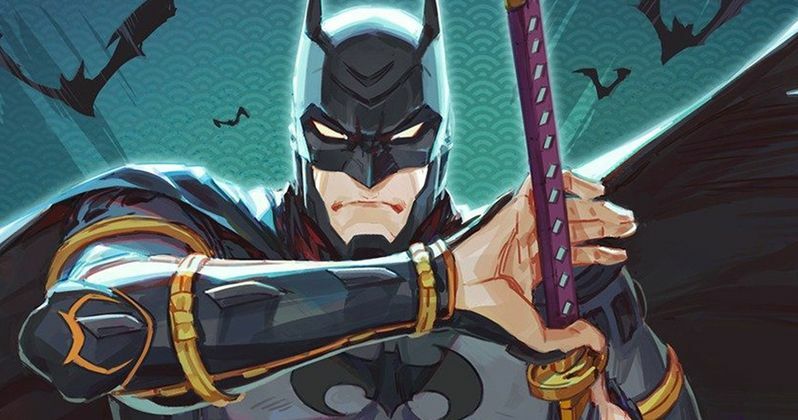 Batman Ninja is a wildly refreshing take on a known commodity. This film, along with the better, but not as visually stunning Gotham by Gaslight; are needed departures from the norm. Don't get me wrong, Sam Liu and his California team do a pretty good job with the Batman and Justice League animated films. It's just nice to see a different viewpoint from the Japanese. I can't wait to see what Mizusaki and Warner Bros. Animation does next. How about a manga Superman?